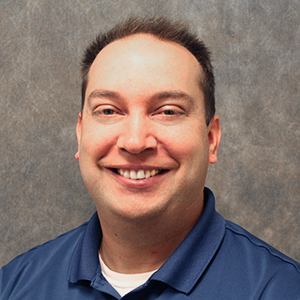 Mr. Burdine is a systems analyst with the Institute for Transportation. His responsibilities include researching and developing software solutions for transportation-related information systems with an emphasis on object-oriented design and project management techniques as well as the development and maintenance of applications for end users, developing presentation and demonstration materials, and providing state and other local agencies with technical support. Concurrent responsibilities include managing InTrans’ information technology needs. These duties include managing staff and student computer support personnel, maintaining computer and network infrastructure, making decisions on equipment needs and purchases, and maintaining data/computer disaster management procedures. Co-designer/developer, Incident Location Tool (ILT), 2000-2005. The ILT is an application that facilitates the spatial location and validation of incident locations by law enforcement officials and data entry staff. ILT is integrated with an electronic forms data collection application called Traffic and Criminal Software (TraCS) developed by the Iowa Department of Transportation. TraCS is a multi-state, collaborative effort involving law enforcement and transportation agencies throughout the US and a Canadian Province. The system was designed for ease-of-use by users lacking prior exposure to GIS-based applications. Co-designer/developer, Incident Mapping and Analysis Tool (IMAT), 2007-2009. IMAT is companion analysis software for analyzing location- referenced data collected using TraCS and ILT software. IMAT is similar in look and feel to the ILT software, leveraging approximately 75 percent of the same source code libraries. Supports same-day analysis of incident data collected by law enforcement officers. Senior designer/developer, Bridge Structural Health Monitoring Systems, 1998-2005. Integration of various software and hardware systems to produce a remote data collection and analysis system that monitors strain-related data from various sensors placed along a bridge’s infrastructure. Configurable software was designed and implemented to log the data collected and run various test algorithms to determine if significant strain events occurred that could indicate structural damage to the bridge structure. Senior designer/developer, Remote Monitoring of Historic Covered Timber Bridges in Madison County for the Prevention of Arson and Vandalism, 2004-2005. A remote monitoring system was designed to monitor bridges for suspicious activity and fire activity. The system integrates various unrelated sensing systems which are used along with wireless communication technologies to collect data and monitoring needs. A centralized monitoring application continuously polls these systems and processes the information looking for any anomalies, such as extreme temperature changes associated with fire or the presence of individuals on the premises at unusual periods of the day designated by configurable parameters. Co-designer/developer, Pavement Marking Presence Tool (PMPT), 1998-2005. PMPT is an image-processing application that inspects an image of white or yellow pavement markings and calculates ratios of paint present versus pavement to determine paint loss. Senior designer/developer, Pavement Marking Management Tool (PMMT), 2008-2011. PMMT is a GIS based application designed for the Iowa DOT to visually query the state road network and identify pavement marking conditions. Senior designer/developer, MnDOT Pavement Marking Management Tool (MnPMMT), 2008-2013. MnPMMT is a GIS web-based mapping application designed for the Minnesota DOT to visually query the state road network and identify pavement marking materials and conditions. The web application also includes an upload site that allows DOT maintenance personnel to upload newly collected data for striping or retroreflectivity. Senior designer/developer, IPMP Section Tool, 2004-2008. Section Tool allows agencies enrolled in the Iowa Pavement Management Program (IPMP) to locate, define, and maintain pavement sections. The GIS based mapping tool helps to resolve data integration challenges such as inconsistent road names or incomplete section data. This application also leverages previously designed tools used in the ILT software. Senior designer/developer, Sign Management Tool, 2007-2010. The Sign Management Tool is a data collection and management tool designed for the Iowa DOT, specifically to collect and maintain a sign inventory for the state roadway system. Features include report generation, GPS and milepost based location marking and a selectable image based sign palette to designate signs, and materials utilized.